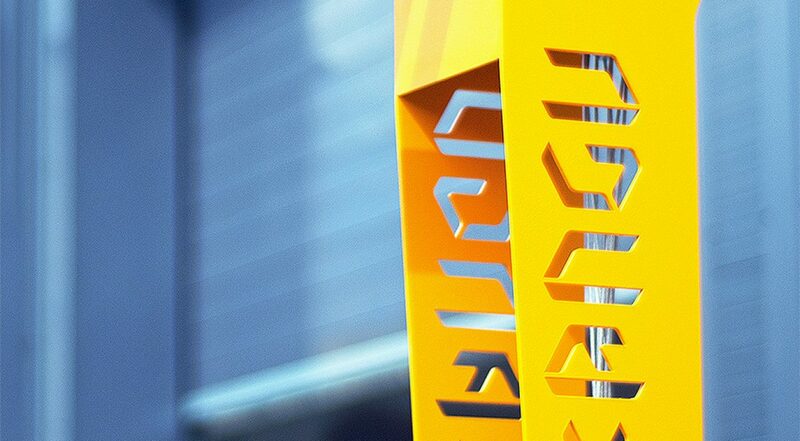 The bicycle repair station has been created by designers who specialize in the design of urban architecture in cooperation with professional bicycle services and cyclists - Zano company has been specializing in projects of urban architecture for 28 years. The appearance and functions of the station are fully customizable to individual customer needs. The toolkit installed in the station allows for quick, basic adjustments and minor repairs. The station is mounted to the ground with anchors or a concrete foundation. Version with a metal stabilization plate at the base of the station makes the station possible to use without fixing it to the ground and adjusting the location of the station as required. 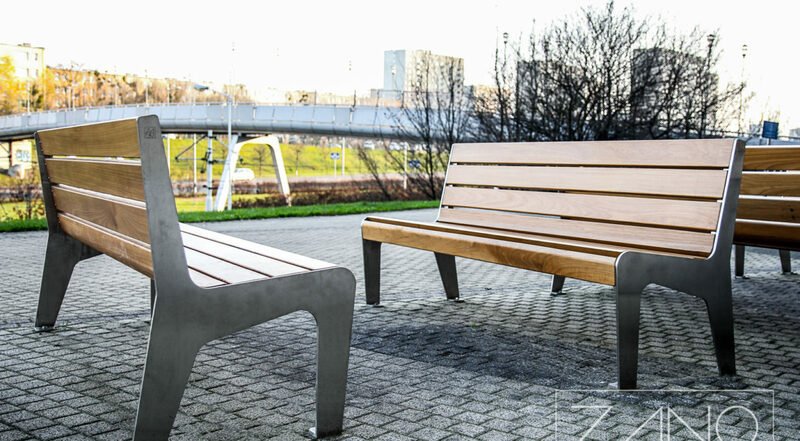 The seat of Pluris bench is manufactured from wood (pine, spruce or exotic wood). The construction is manufactured from stainless steel - durable, hygienic and safe material with low maintenance cost. What is more, you can choose every of the RAL palette standard colours for your model. 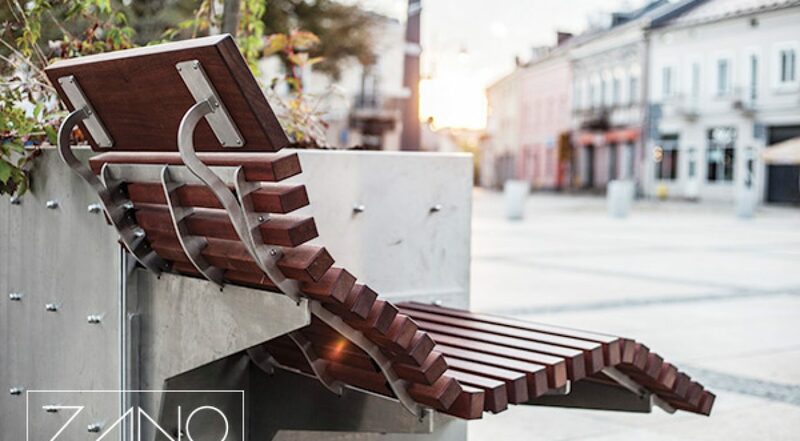 Contemporary and elegant, stylish bench Pluris offers style, durability and functionality. Its clean, simple lines can complement any landscape, both traditional and modern. 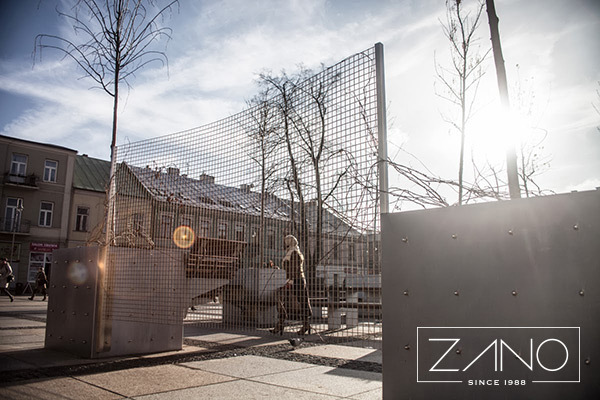 _________________________________________________________________ Pavo is a modern galvanised steel and timber litter bin.Thanks to those materials Pavo is durable, maintenance free and long-life product. Stainless steel part is in the front and wooden part is on the back. The front side is made of wooden slats which are very aesthetic. Pavo is a stylish and durable model. This bin is ideal for modern areas such as: streets, railway stations, shopping centres and industrial estates, which require harmonising designs that are long-lasting and robust. Presented litter bin is a free-standing model. It's an excellent example of modern design street furniture. 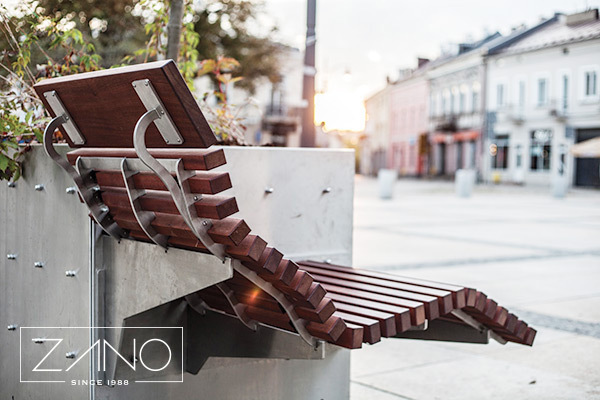 Manufactured in stainless steel, carbon steel, cast iron, hardwood or softwood, you can find the right material for the cities and urban locations, parks and green areas you are working on. 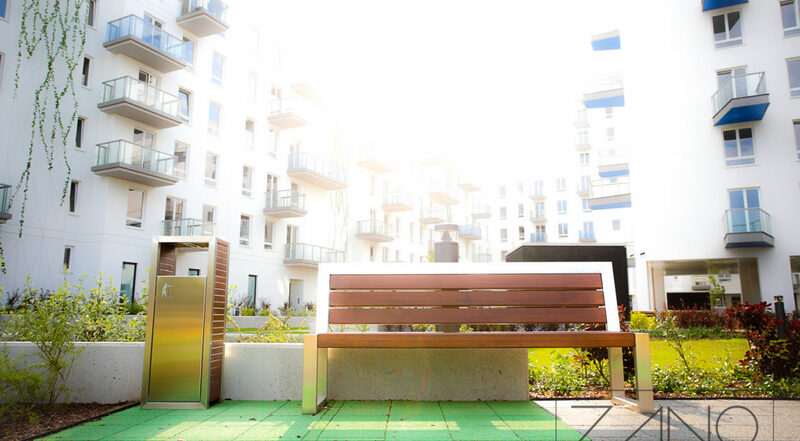 Public furniture must add to the ambiance of a public space it is located in and encourage people to use the streets, pavements and squares where they live.